2. Enter a Name for the LTI link. 4. Optionally enter a Description for the link. 5. Ensure that Allow Users to View this Link is selected. 6. Ensure that Sign messages with key/secret with is selected. 7. 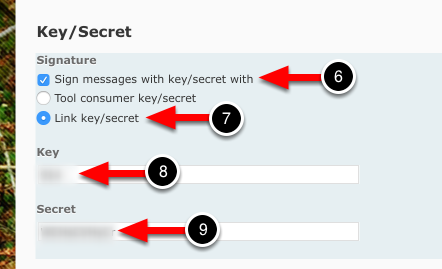 Select Link key/secret instead of "Tool consumer key/secret." This will enable the Key and Secret fields. NOTE: The Key and Secret will be provided to you by Chalk & Wire. 10. Select all of the options in the Security Settings. 11. Select to whom the link will be available. 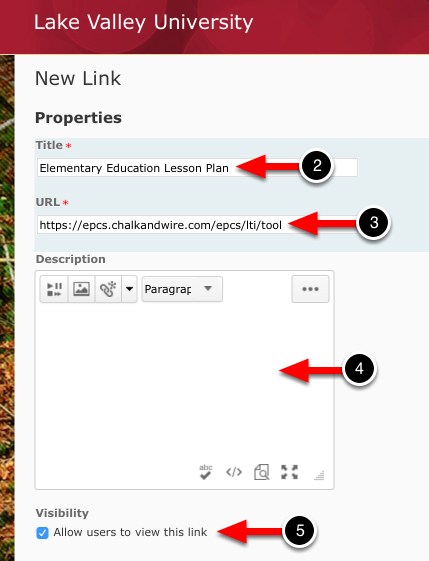 If you would like the link to be available to the entire school, leave Current Org Unit selected. If you would like to limit the availability, click on the Add Org Units button to select the appropriate course and descendents. 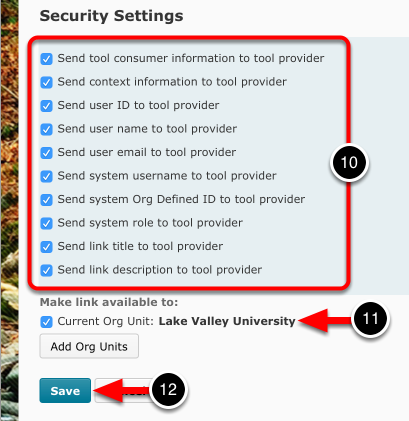 The new SSO link will appear on the Manage External Tool Links page.